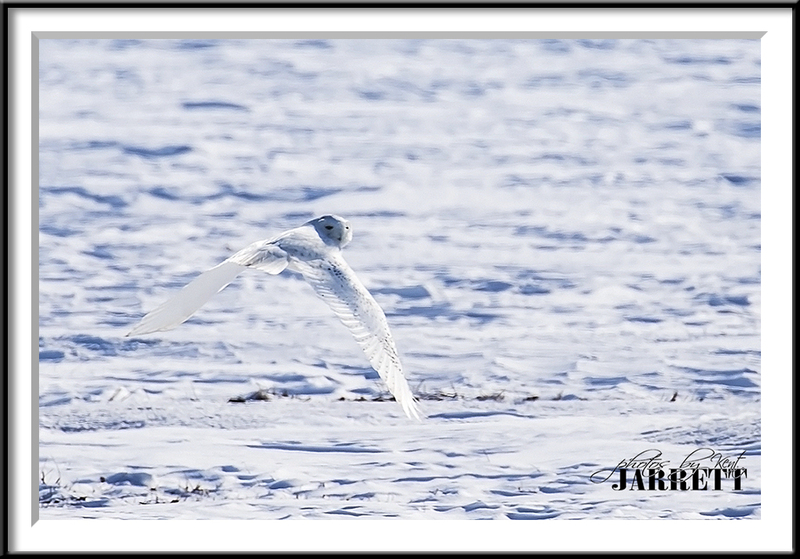 Ray and I weren’t the only critters out hunting for Snowy Owls. We found 6 sightings, but really nothing close enough for great photos. 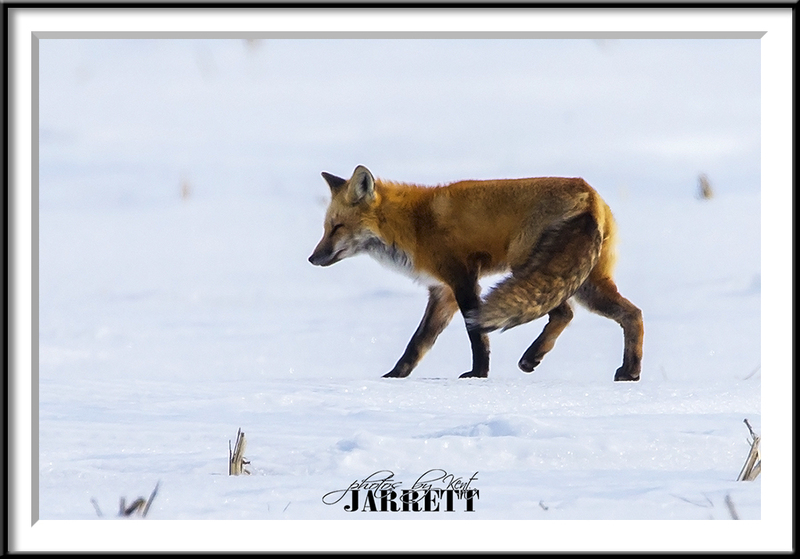 I am hoping this red fox didn’t find any! After finishing up with the frozen waterfalls of Starved Rock State Park early Saturday Feb 28th due to ice climbers on the falls. We were already two thirds of the way to Rochelle and had little to no wind and really good light. 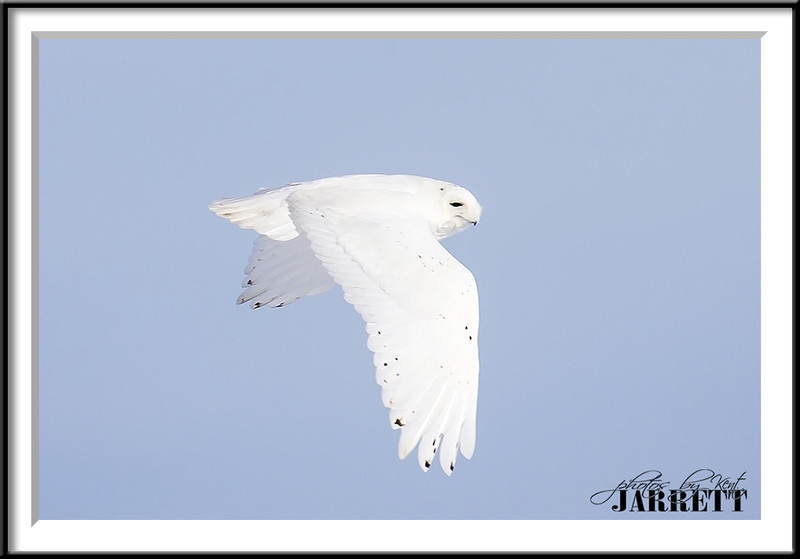 Even though I didn’t have all my big glass we decided to buzz on up to see if we could find any of Lee County Snowy Owls that has shown up again this winter. I only had my new 100-400mm MKii. I carried it on my Canon 1DX during the hike in Starved Rock in case I found a great horned owl on her nest. 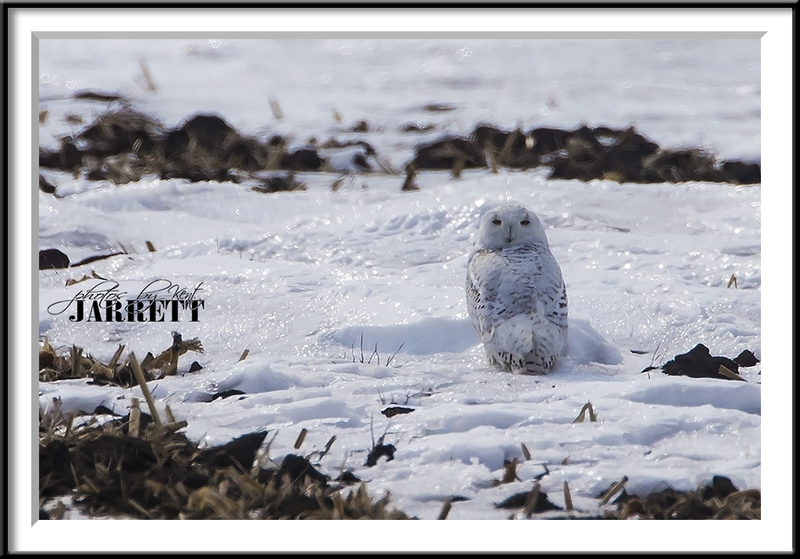 Six or 7 different owls, 4 or 5 males, and only 2 females way out in the field. Last year there was only 1 male and 14 females. I posted the 4 different locations of these photos on ebird.org. My good friends and fellow photographers Rick Small, Brian Shults out in the Smoky Mountains name the big whitetail bucks. Faye Sykes and Bill Lea name most of the known black bears. Only fitting since I don’t have a national park in my backyard I try and name a few of my “finds”. 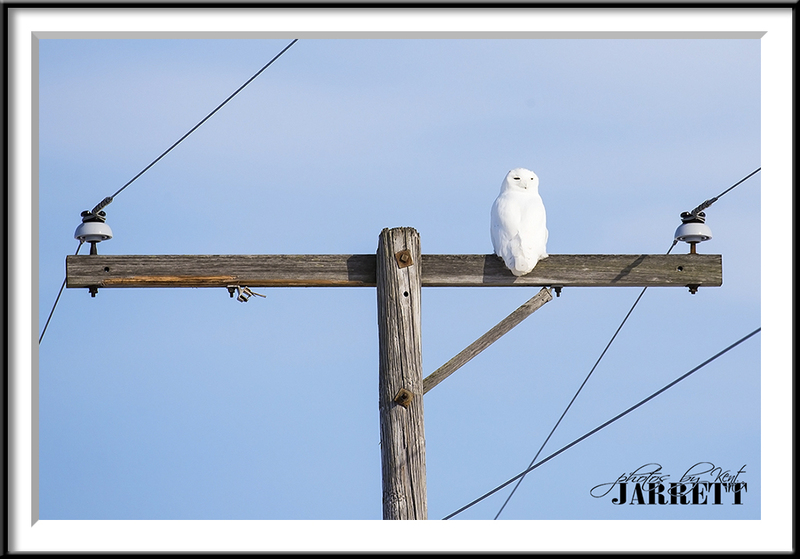 Now that I have spend more time with my snowy owls they have unique features and behaviors and have decided I would name the Snowy Owls of Central Illinois. Meet LP Paulie: Sorry for the heavy crop but it is the only usable image of Paulie I have. Paulie is the most famous of our central Illinois Owls and has been hanging around El Paso for going on 3 weeks. He hangs out in the MIDDLE of two larges squares and I have yet to catch him closer a road than a third of a mile. Paulie is a second year young male. He doesn’t even like cars to stop let alone when people get out of their cars. Please respect these owls and stay in your cars and use spotting scopes and binoculars! I have chatted with the two landowners where Paulie hangs out. They have found half eaten rabbits, all kinds of dead birds, and owl pellets everywhere. Paulie is healthy, strong and growing! Please let’s keep it that way. We lost a young man this summer to a drunk driver. Michael Collins, in honor of him a group has started #MCStrong. 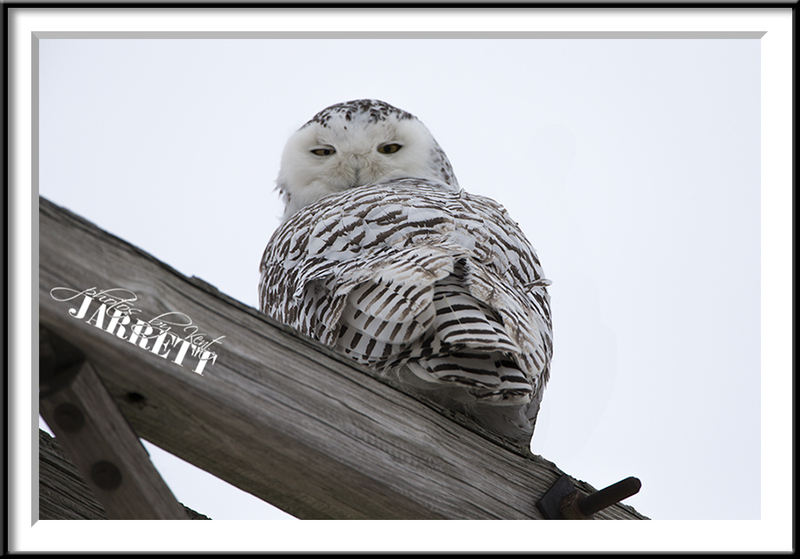 To go along with that and to honor him, and because this bird is somewhere in McLean County; I have named this male snowy owl MC Beauty. After talking with several farmers in the area this is Beauty’s third winter in our area. The local birders and photographers have sworn to try and keep Beauty off of eBird and so far, knock on wood we have. Beauty is used to cars and farm machines. As long as you stay in your cars you will be able to enjoy him at a much closer distance. Beauty is a 3 year Male. Next year he should be completely white! There are two more female owls hanging out near Minonk. I believe one of them to be a returning female from last year after talking to my bird guys that drives 90-100 miles a day birding. 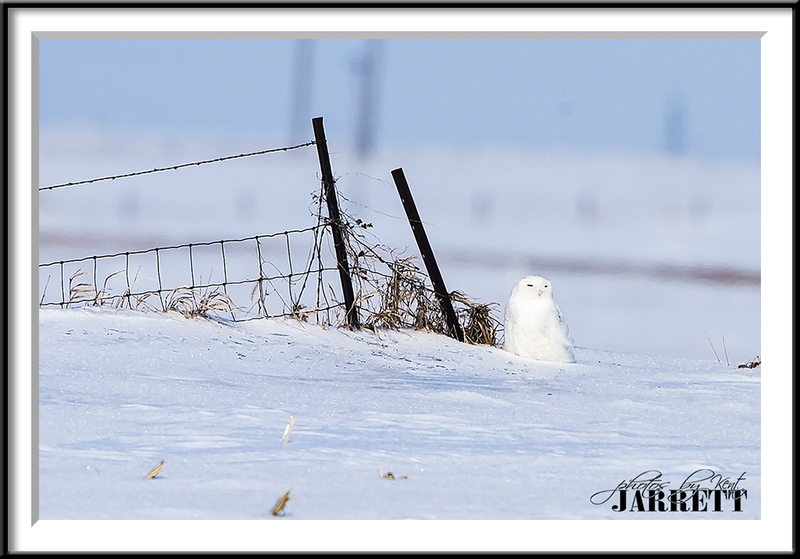 I just have been having too much fun with my eagles and these two owls to drive farther North to photograph the Minonk Owls. 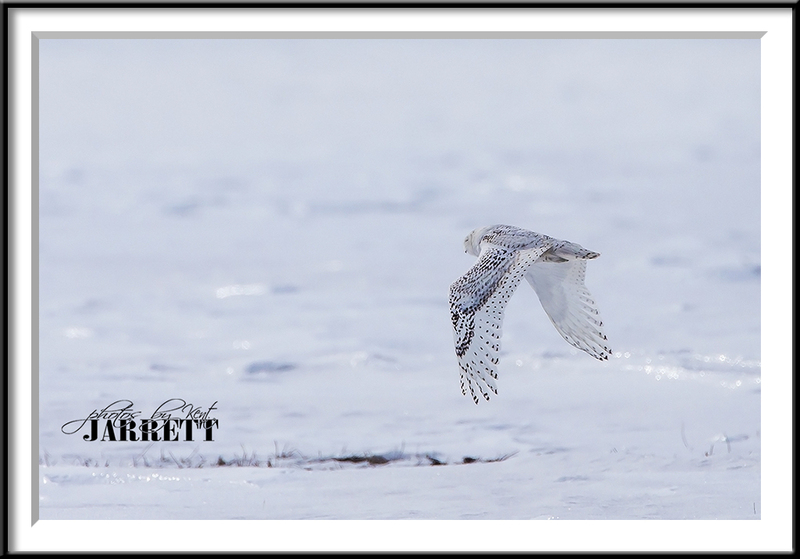 Barbie is a first year female snowy owl. I named her Barbie because the dark feathers on the females are called barring or barred. 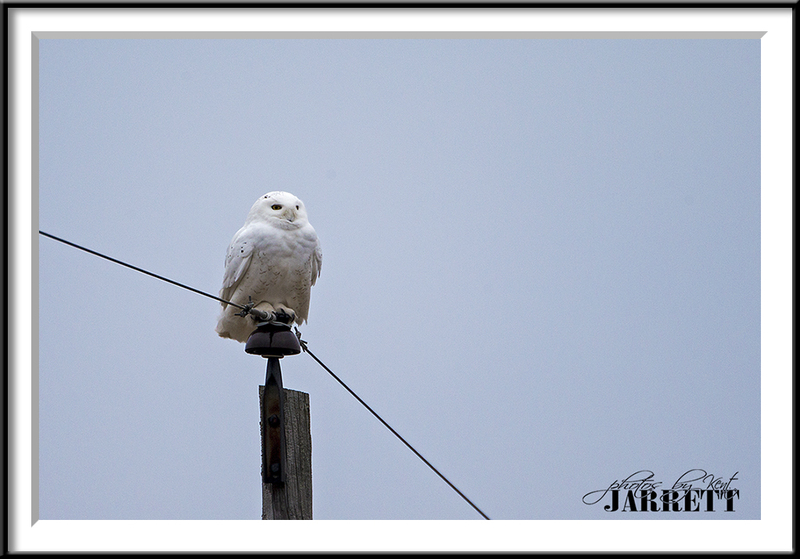 I was a little disappoint to learn that last season’s Snowy Owls in Lee County didn’t just happen. Let me try to explain. 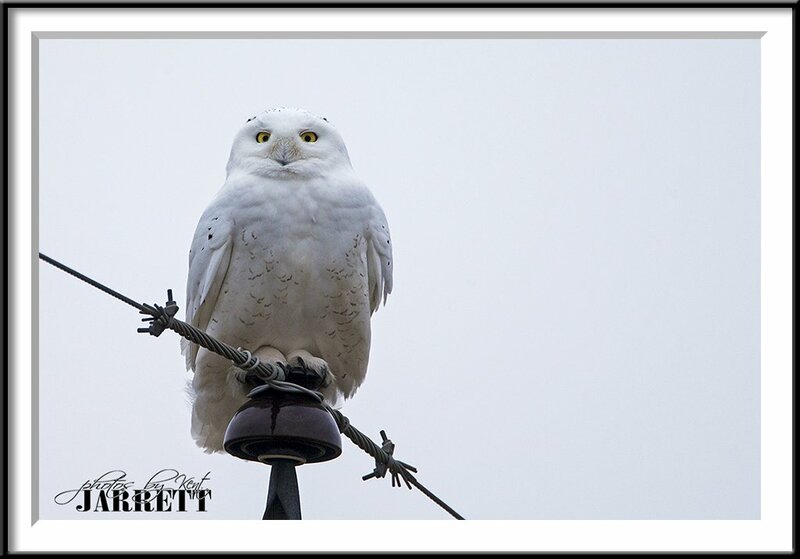 The Illinois Department Of Natural Resources captured over 30 Snowy owls from O’Hare and Mid Way airports and moved them a safe distance to Lee County. I thought this was the first good flat open land with plenty of feed and they just stopped there. Wrong they were planted! Rainy and crappy light today, and yet I feel compelled to go check on Paulie and Beauty. Tomorrow back on Eagles, Monday back to work. 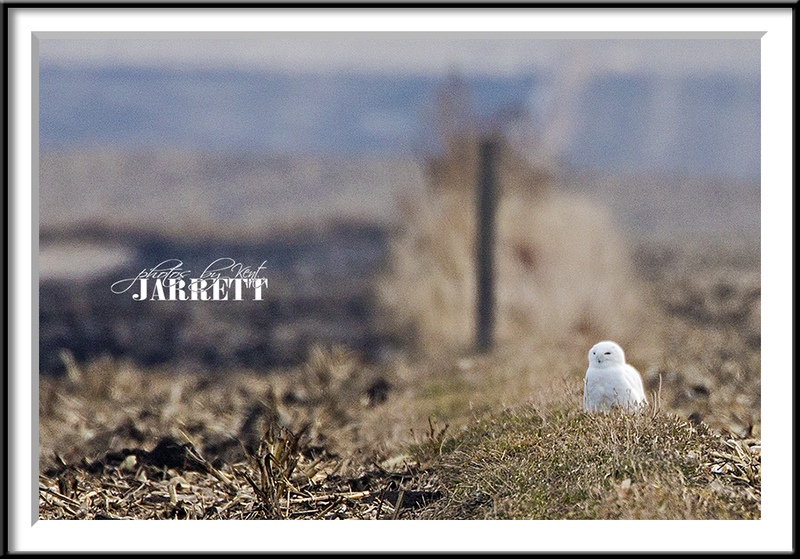 Last Sunday I was able to find a Snowy Owl in McLean County. 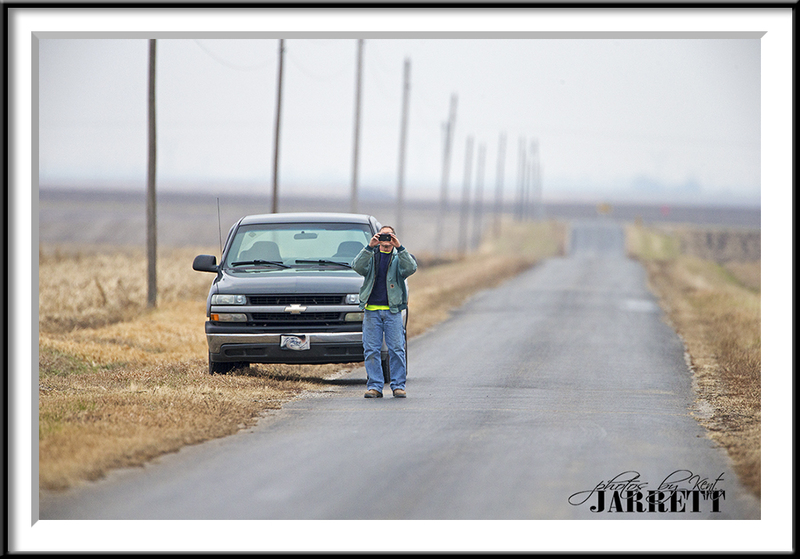 Both the landowner and the fellow photographer asked not to share the location of this bird. So I didn’t. I believe this to be the same bird and moved to Gridley and now El Paso. This bird’s location has been shared on eBird. This bird is in the middle of a 1.5 mile by 2 mile plot. The survival rate of these young juvenile birds is less than 40%. The Snowys up north have had an abundance of food, so instead of laying 1 or 2 eggs, they are laying as many as 5 or 6. This is forcing young birds to come further south in search of food. My advice is don’t leave your car. use binoculars or a spotting scope. If you want photos, leave us to one of us professional photographers. I have over $20K in my camera and lens. If you are lucky enough to see one stay in your car and enjoy God’s beauty! 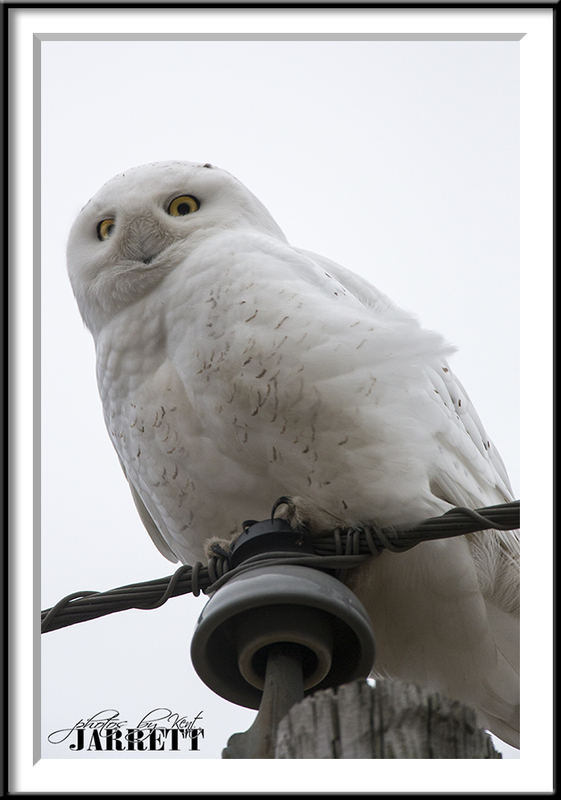 Want to learn more about the irruption of Snowy Owls. 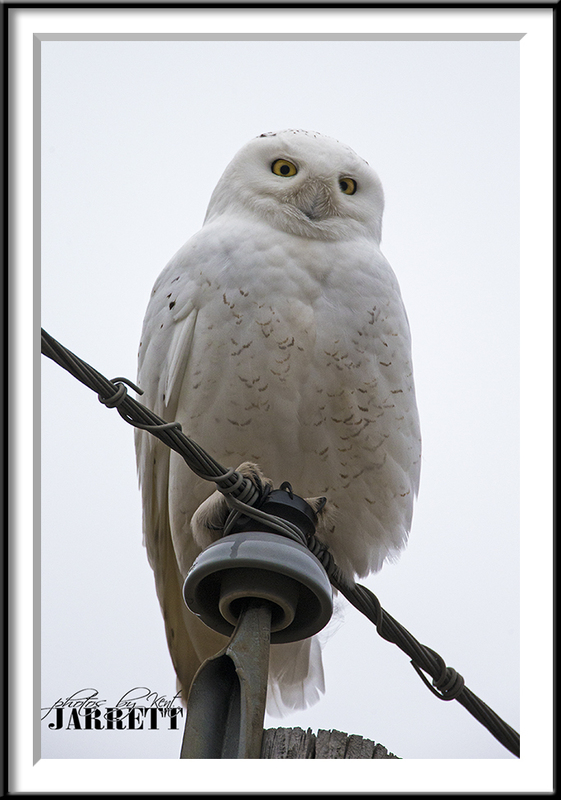 I also found out that all the Snowy Owls in Lee County last year where trapped from O’Hare airport and relocated there by the Illinois Department Of Natural Resource. I feel very blessed to be able to bring these photos to people that might have never been able to see them on their own! 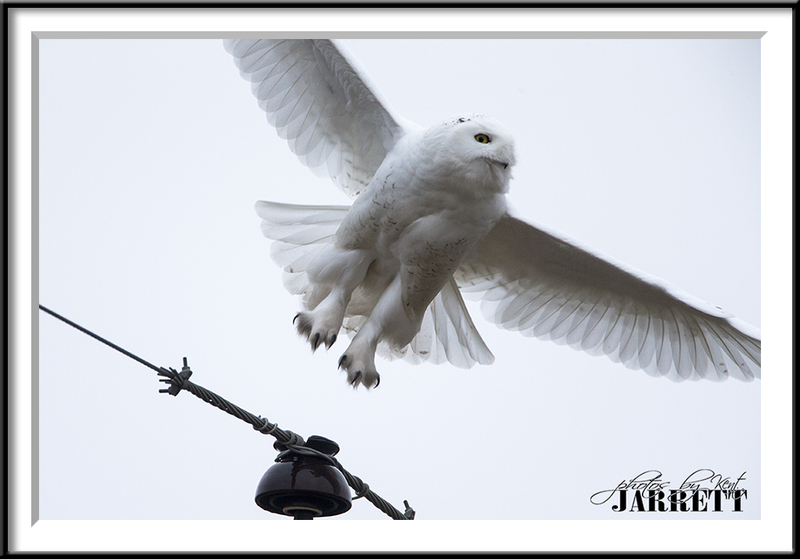 If we respect these Snowy Owls and don’t harass them they could stay around until end of March. Feel free to e-mail or text me any sightings. 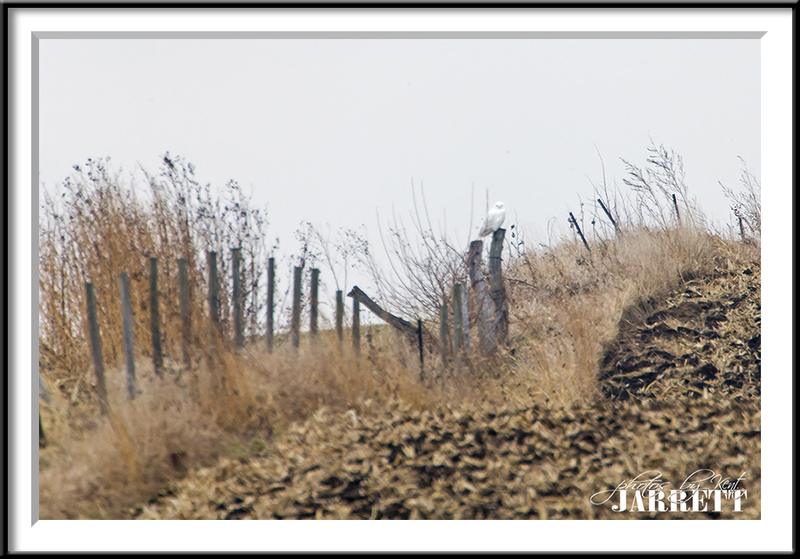 Be safe, Happy Birding, Be respectful of the birds and landowners property! 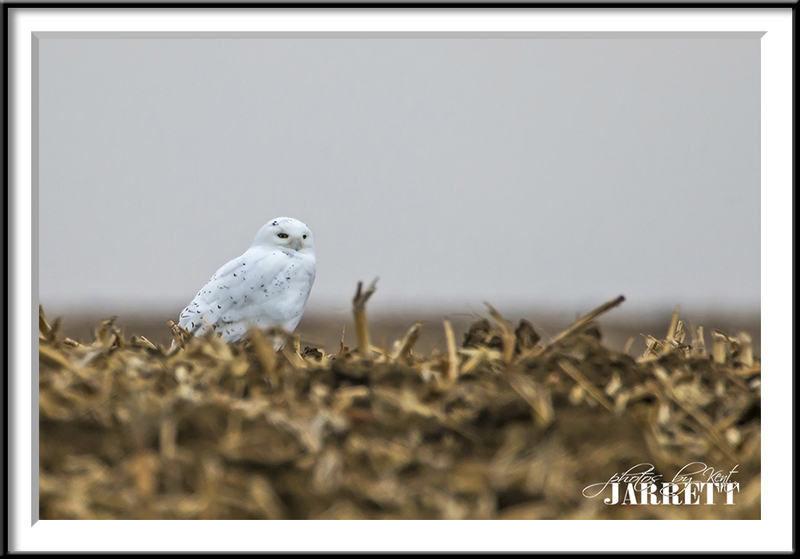 I have received 4 different reports of people and friends seeing snowy owls in McLean County. McLean County is one of the larger counties in Illinois. These are people I trust, so I have been checking them out when time and daylight allows. 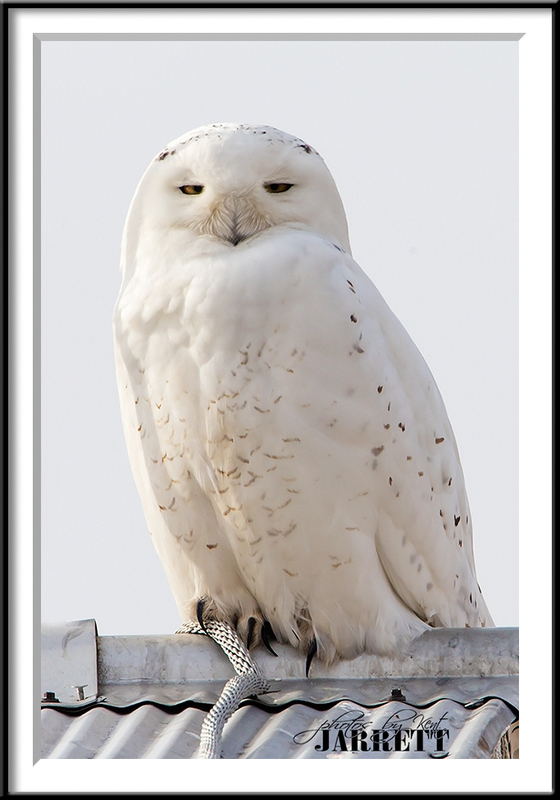 Yesterday, I saw high resolution photos of the male owl, so I knew it was on. Almost a full 3 months earlier than I found them last year. I blasted off this morning to find a 24-30 inch tall bird with 4 foot wingspan and weighing in around 3.5 pounds. 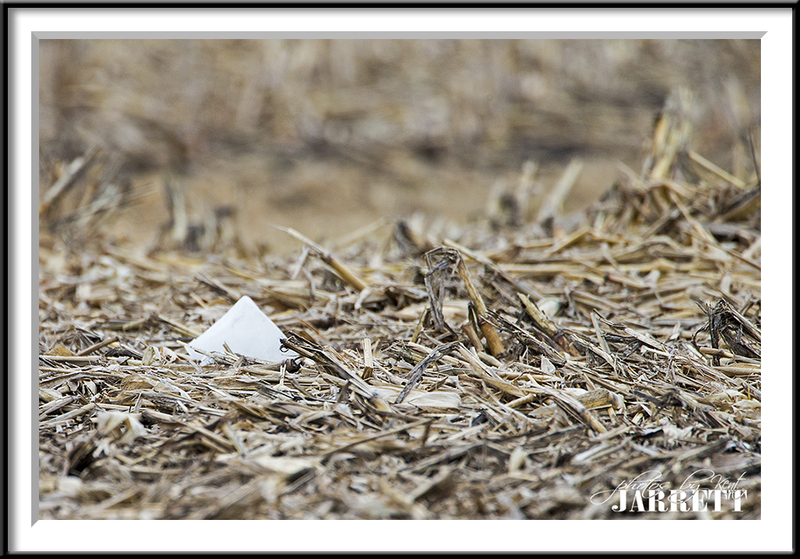 Sounds like a needle in a hay stack, but yet I was able to find them last year. Struck out this morning! Two hours of driving country roads sneaking up on anything white that looked out of place. I can tell you that McLean County has some serious trash problems. Ended up being a half buried ice cream bucket! I have to believe people driving by must get a real chuckle out of a 240 LBS fat guy in full Carhartts doing the belly / sniper crawl across a muddy field with 15K of camera equipment cradled in his elbows. Second stalk turned up to be a grocery bag. 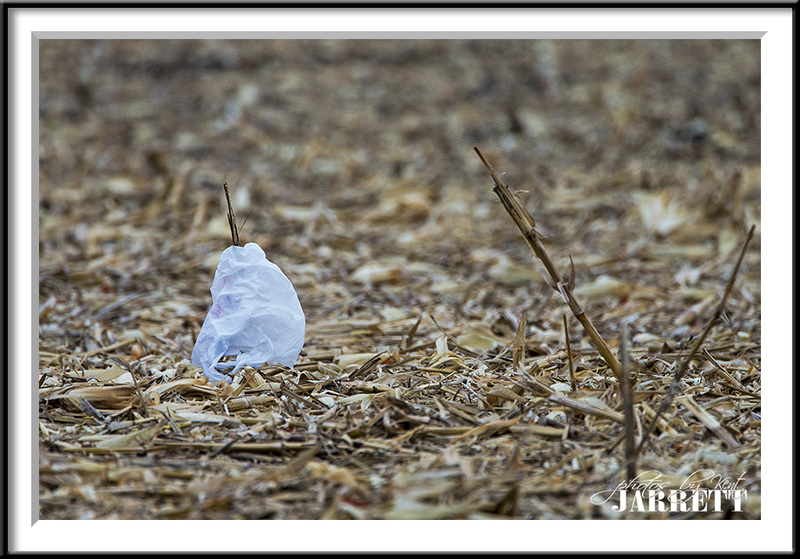 These guys flopping in the wind look really good from 1/2 mile! Once you get close enough to put the lens on it, and find out it is trash, you just stand up, shake your head and walk back to the car. Finally! I spotted one with my binocular! Only about 1/3 the way across a 1 mile square. No stalk, the lady who shared location doesn’t want this bird to feel any pressure as he has been there 5 days now. We are trying to keep him off ebird.org since he is a rare male. I watched him from the car for 20 minutes. Then he few to a fence row in the middle of the square and landed on a post. This next shot was crazy long. I stacked my 1.4 and 2.0 teleconverters together and paired on my trusty 500mm bring effective range of 1400mm and f11 I think. Manual focus of course. 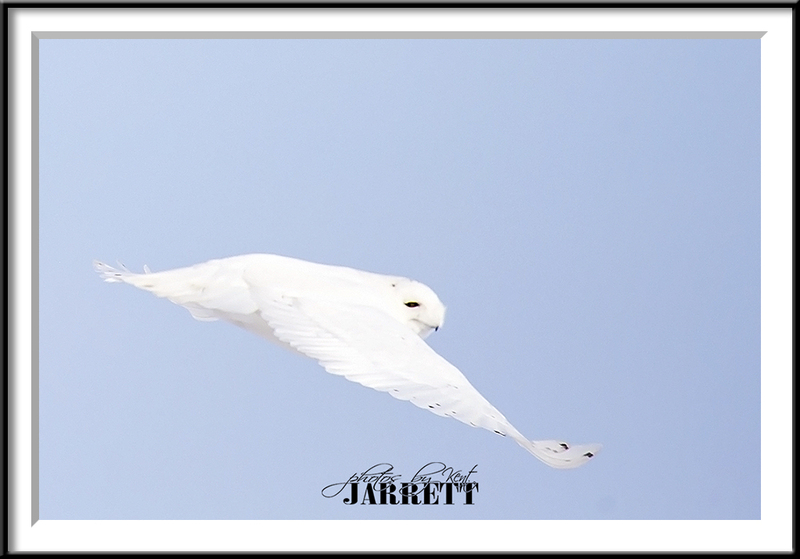 I could not see this bird with my naked eye at this range. When I go back I am taking my golf range finder to measure the yardage. I would guess it to be over 600 yards. It was longer than most par fives I play. I drove the square to see if I could get closer from other side. When I came back he was gone. I found him in the next square to the North and a pickup truck was watching him. The guy got out of his car with his smart phone and started walking straight towards the bird. I got one good shot before the guy got too close and forced him to fly. I had the camera set in full “bird in flight” mode knowing he was going to launch. Knew it! Too much lens and clipped his wings, but you get a good view of feather covered feet and talons. He few about 10 telephone post, so after I scolded the guy for getting out of his car, I rolled up to him again and got a couple more full frame shots. Not much background with the grey sky. 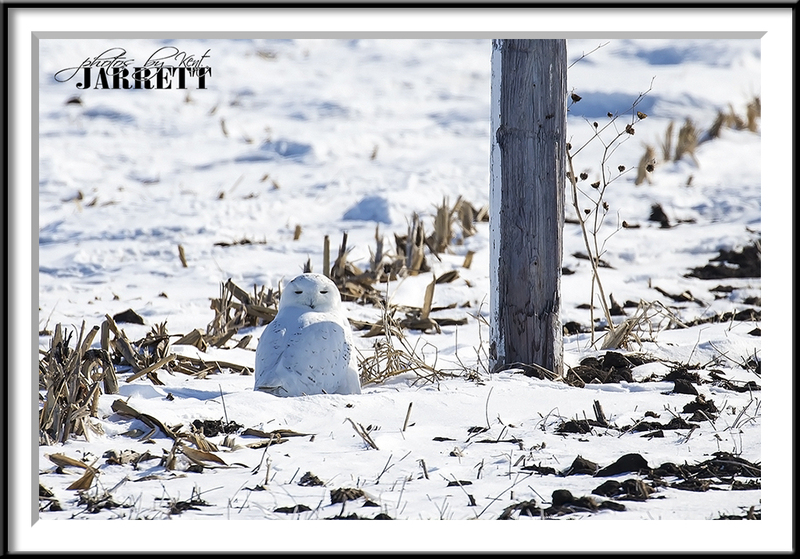 Not a big fan of sitting pole shots, but hey, I found a Snowy Owl. Watched him for another 10 minutes, and decided I would head home. I opened my sun roof and idled right under him. Needed a shorter lens. 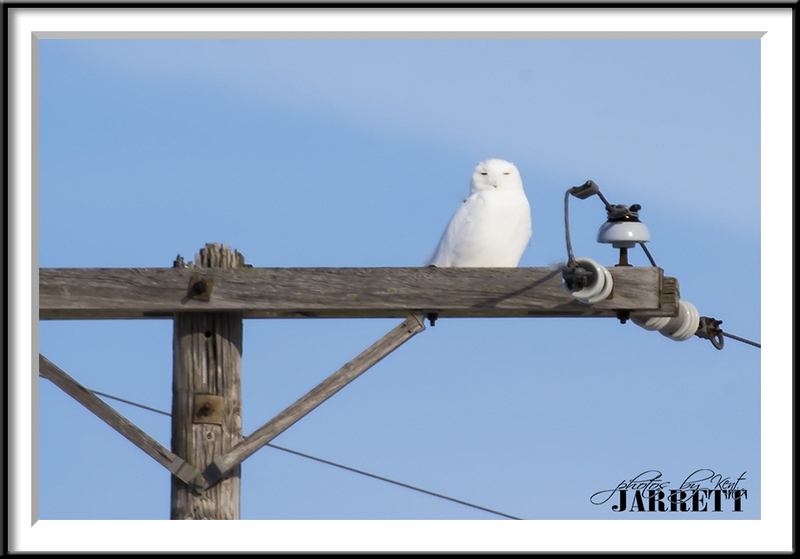 He was keeping a watchful eye on me. I told him goodbye and headed home. Very cool birds. I love their eyes, and their feet! Hopefully this guy will hang around and I can spend more time with him in better light and maybe get some flight shots of him hunting. Please feel free to share my site and Facebook page with your friends and family!